AusCERT's annual awards, sponsored by the SANS Institute, night kicked off in spectacular fashion with fire-breathing commedian/musician Brian Brushwood carrying out his own version of a penetration test when he hammered a nail into his head through is nasal cavity. And if that wasn't enough, he then carried out another intrusion test but placing a small nail under the skin beneath his right eye, moving it laterally and then exfiltrating it from the underside of his left eye. That hack was followed by some "ESP" and "mindreadiong" that would have had most social engineers scratching their heads. Once Brushwood completed his entertaining act, by escaping from a straight jacket, AusCERT gave out their three wards for the evening. 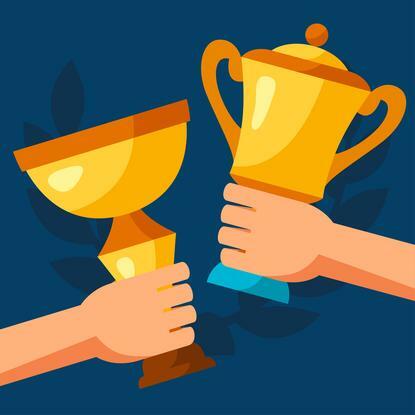 Unlike previous years, where the nominees and winners were chosen through the AusCERT membership, this years winners were decided by an internal team within AusCERT. So, none of the winners were aware that they were in the running for an award. The first award for was awarded for individual excellent in information security. The winner was a popular choice, with Troy Hunt of Have I Been Pwned (https://haveibeenpwned.com/) fame taking out the first trophy of the night. AusCERT's second award for the night was awarded to the member organisation that fixed the largest number of vulnerabilities. That award went to IT services company Brennan IT. The final award was presented to the individual for the work in collaborating with AusCERT. Colin Chamberlain, from the Univeristy of Tasmania won that prize and, like the other winners, received a generous package of security training from the sponsors, SANS.